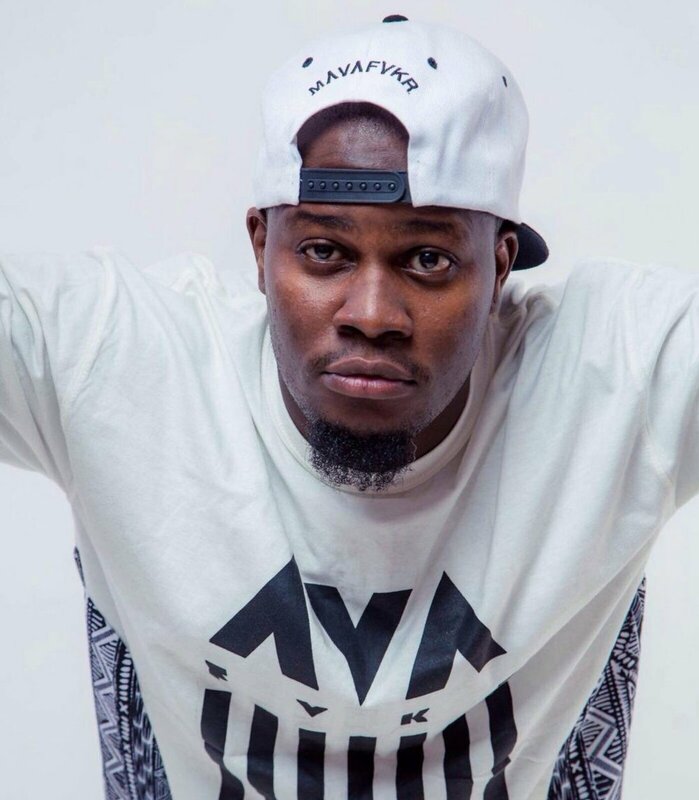 We connected with Tanzanian rapper Wakazi aka “Biingual Beast” for an exclusive interview to discuss his recently released debut album "Kisimani”, find out how Tanzanian and American culture are reflected in his music, and much more. After reading our Q&A with Wakazi, be sure to stream and share the “Kismani” album, connect with him on social media and stay tuned into Boomplay for much more DOPE music to come from this talented artist! Tell us about your nickname "Bilingual Beast”. What does it mean and how did it originate? I'm always on beast mode when I'm on the mic. When I was starting to find myself as far as the musical direction, image and branding, it was necessary to create something that would distinguish me from the rest. I rhyme in English and Swahili so that's Bilingual. And adding the "beasting" part, and there you have it. Funny enough, earlier people didn't embrace that AKA, as many thought I was better in English than Swahili rap. But I kept working and proving myself to a point now it is acceptable and those who didn't approve, now do. You're a native of Tanzania but later moved to Chicago. How would you say that both cultures, Tanzanian and American, are reflected in your music? Both cultures are pretty much reflective in my music. Remember even before I set foot in America, I was already influenced by the Hip-Hop culture from the US. But I grew up in a semi traditional household here in Tanzania, which means we embraced the tribal norms and customs while also practicing modern adoption. We grow up to be products of our environment and with the exposure I had in the early days, made my transition to Chicago seamless. Now after being engraved in both cultures, and being an artist who put emphasis on "keeping it real", without a doubt you can hear and feel the multi-cultural influence in my work. For one, just the fact that I consciously chose to be a bilingual artist is evidence enough. The music scene in Tanzania is very vibrant, and competitive. But in the recent years it has been experiencing somewhat of an overhaul and evolution. I always believed that Tanzanian fans "don't know what they want until you give them something" as far as musical choices and taste. But on the other hand, the music influencers & stakeholders can push an agenda and propagate it to lure people into liking a particular sound, genre or artist, and leave most in despair. People were being forced to like whatever is played for them. And the structure (management, labels, promoters, marketers) wasn't were placed to push artists/music that's not favored by the "bosses", leading most people to conform. The emergence of digital platforms somehow changed the game. Now fans can listen to whatever they want whenever they want, they don't have to listen through the traditional media. Also platforms such as Boomplay have given artists not only creative control, but also managerial control as they can act as their own label and management. Last but not least, now local artists can garner international fanbases without overspending on marketing just to reach potential markets beyond his or her borders. Mainly music consumers were into Swahili music, but with the evolving society, and artists like myself, not to mention the ever increasing potential in the international market, bilingual and English music is slowly getting acceptance in a wider audience. It is interesting to see where our music will be in the next 5 years, amid such rapid changes that are currently taking place. Congratulations on your debut album "Kisimani”. What does the title mean and what can you tell us about the project overall? “Kisimani” is my baby !! Yeah it is already released in select outlets, and was made available everywhere on March 16th, including Boomplay. After a series of mixtapes, EPs and non stop singles, the time was finally right to drop the album. KISIMANI, an acronym for KIla SIku MAisha NInayakabili, which translates to "Everyday live struggle" or even more precise "Everyday Struggling with Life". It sheds a light on life struggles and experiences, varying from love, faith, politics, to life philosophies, with some being equivalent to what I saw while sitting in Stakishari Ukonga at the Water Well, which also happens to be called "Kisimani" in Swahili. It took years to complete the album, and it's evident from the array of sounds that have been experimented on, reminiscent of multiple eras of Hip-Hop. The album has 18 tracks, and features the likes of One Incredible, Barakah Da Prince, Ayler Voice, Laylah, Ibrah Nation, Gospel singer Frida Felix and TZ reggae/dancehall sensation, Dabo. Production credits include Marco Chali, John Mahundi, Innocent Mujwahuki, Palla, Q The Don, Cjamoker, Calidro, Abbah Process, Willie HD, KZZ The Soulplugger, Biggstickerz, Banostylez and the late Myron "Malo" Brown (R.I.P), a friend who got killed 6 years ago in gun violence in Chicago. "Hapa Wakazi Tu" and "Bakora" were the pre-released singles, followed by "Nimezama" and "Tradin Bars" after the official album launch. I'm looking forward to release two more singles, and keep pushing the album so people can enjoy this food for thought. When someone listens to a Wakazi song for the first time, what do you want them to take away from the experience? See, I am a very technical emcee. Yes I care for the hit songs and commercial accolades but being artistic, versatile, critical, lyrical is what I trump myself for the most. Ability to have content and context in my music is crucial. I want you to feel like riding through a roller coaster of emotions, highs and lows, while gaining new perspectives on things. So I always wish a new listener to have questions comments like, "who's that?! ", "what did he say?! ", "can you please rewind that?!" and even better to say, "that's genius" or "wow I never thought of it that way". Then my mission would be accomplished.